There were just too many mentions of flapjack around me recently to ignore them. 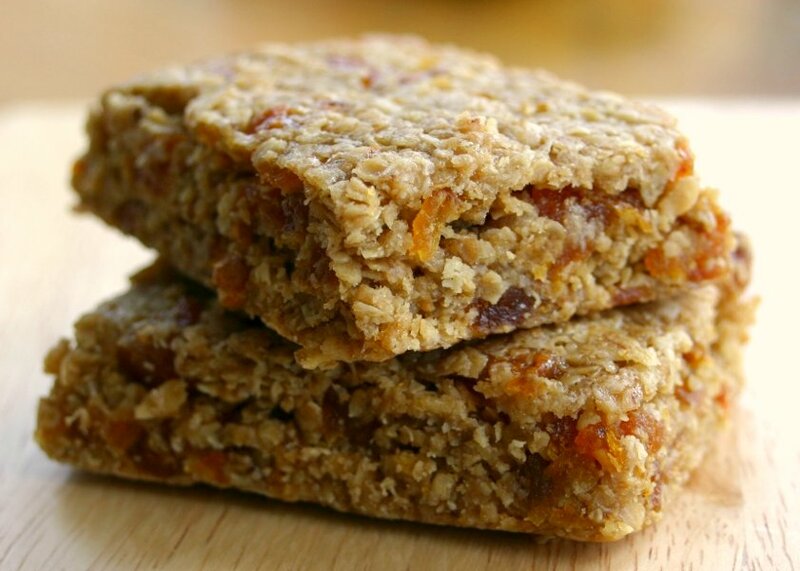 Autumn brings on our desire for comforting snacks full of slow release energy to keep us warm and snug, I used to bake flapjacks almost every day, soft chewy ones too, not crunchy ones but haven't baked any for ages. When it dawned on me that I hadn't any little snacks for tomorrow's lunchboxes then baking flapjacks seemed to be the obvious solution. A quick disclaimer: I don't eat oats, (so this is a truly altruistic post)! if you are not gluten intolerent, feel free to skip the next bit and dive straight into the recipe. I know that I am walking into a minefield by posting an oat-based recipe here. "Are oats gluten-free?" is the subject of much debate, with some people being able to tolerate them, others not. Gluten free oats are now available in the UK as well as the states. In the UK you can now buy gluten free oats in all Waitrose stores under the brand "Delicious Alchemy". I haven't tried them (the recipe below was made with regular oats). In the states Bob's Red Mill, among others, supply gluten-free oats. It is worth pointing out that gluten-free in this sense means un-contaminated with gluten. These oats are often grown on farms and milled on sites that do not handle wheat at all, so there is no possibility of harvest-related contamination. They are tested using ELISA testing to prove a gluten content of less than 20ppm. Right, with that out of the way, here's the recipe - it is so easy and tastes fantastic! Equipment: 9"x12" baking tin (1" deep) lined with baking paper. Beware - the pieces are inclined to crumble if you try to eat them before they are cold, but it is very hard to resist! Listen you, I've had just about all I can take of you delicious recipes. This has to stop! Added to my list of things to make when I have time! That looks so gorgeous and delicious. Great for lunch or any outdoor times. Thanks for sharing. 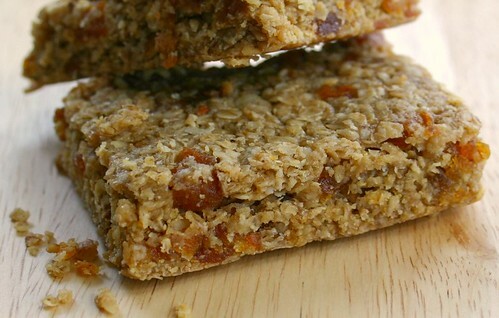 These look delicious, I am always trying new ways with flapjacks. I hope one day to find the perfect recipe. Will they be crunchy or chewy? I will try these and see if I have achieved my goal.